This is a rectangular Michelin Tires porcelain sign. This particular Michelin Tires sign is black and yellow. 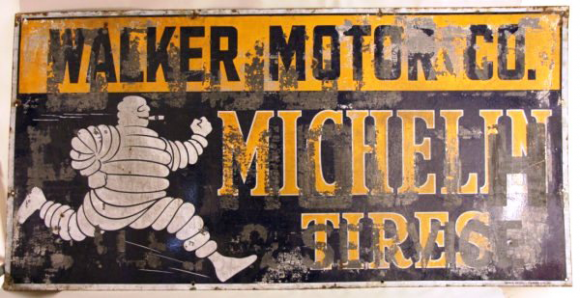 It reads, “Michelin Tires, Walker Motor Co.” and features a running Michelin Man on the left side of the sign.